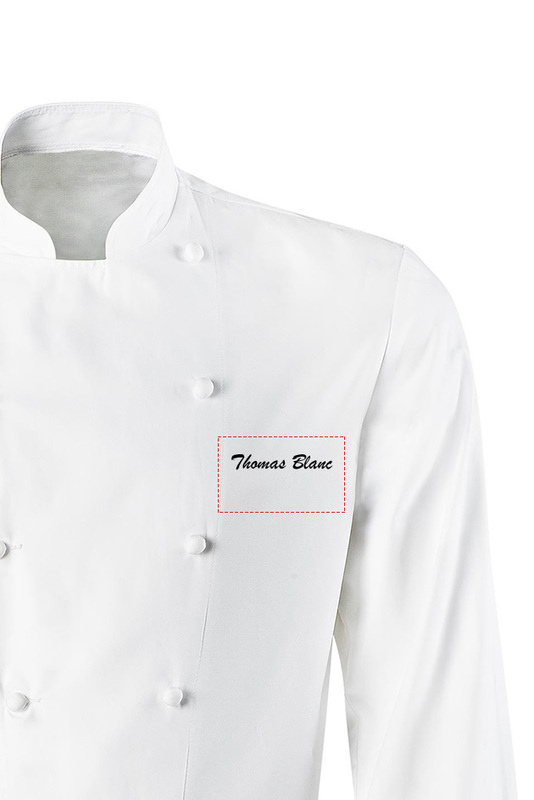 Women Chef Shirt-Jacket. 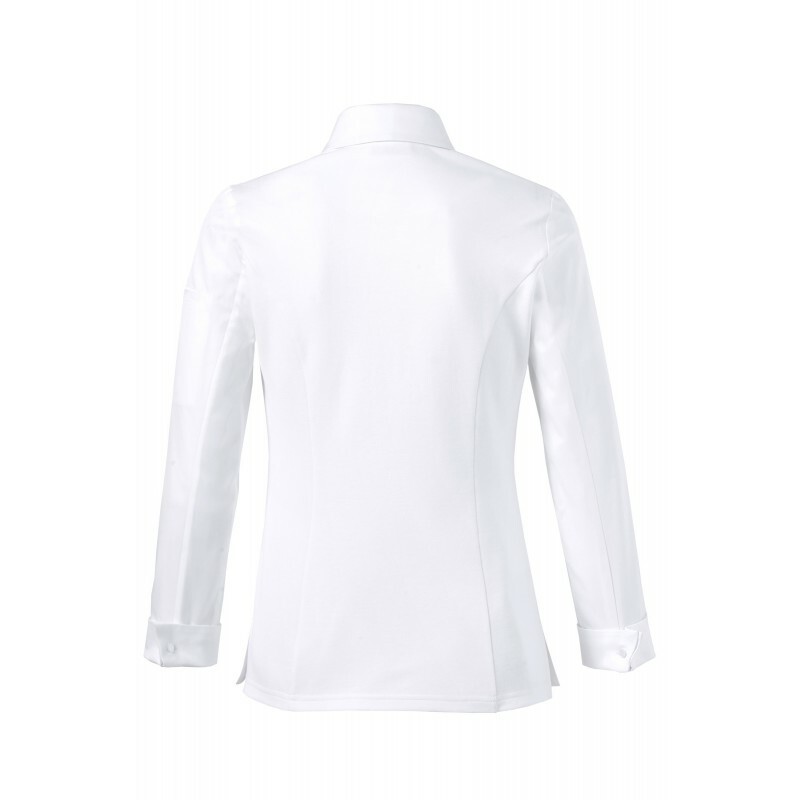 Button-down shirt collar. Ribbed pleats stitched down the front. Side slits. Back part in stitched Natura fabric. 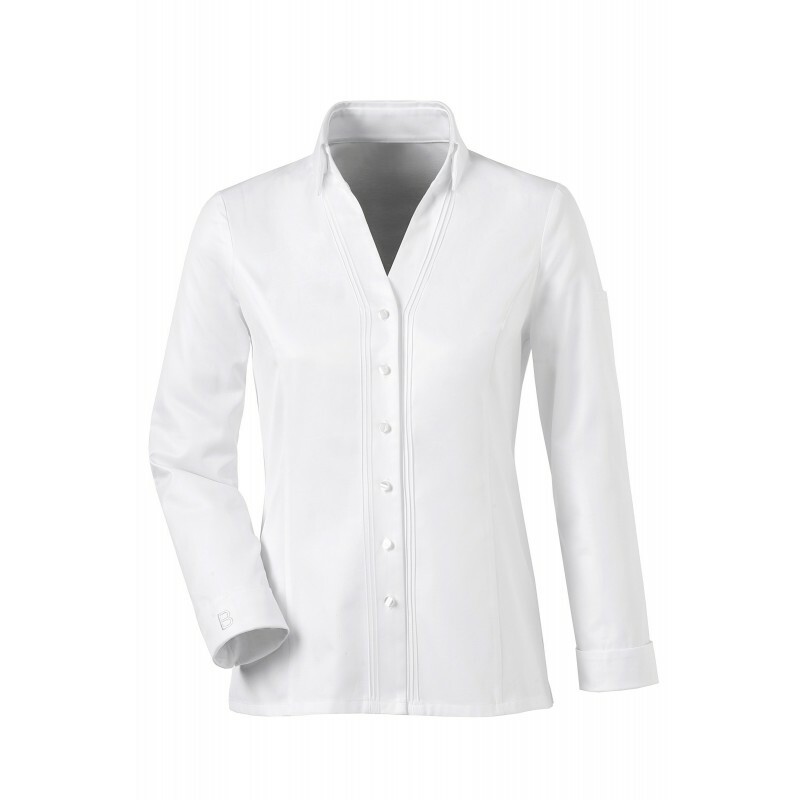 Long sleeves with a 2-button closed French cuff. White "B" logo embroidered on right cuff. Thermometer pocket on left sleeve. Registered design.